We had some spring sunshine for part of the weekend but let's have a look at what Monday's got in store for us. You can also get an updated weather forecast for your part of the West Midlands at any other time from the BBC Weather website. M6 Warwickshire northbound severe disruption, between J3 for A444 and J4 for M42. M6 Warwickshire - One lane closed on M6 northbound between J3, A444 (Nuneaton) and J4, M42 (Coleshill), because of a vehicle fire. M6 Cheshire southbound severe disruption, between J17 for A534 Sandbach and J16 for A500 Crewe affecting J18 for A54 Middlewich. M6 Cheshire - One lane closed and very slow traffic on M6 southbound between J17, A534 (Sandbach) and J16, A500 (Crewe), because of emergency repairs. Congestion to J18, A54 (Middlewich). Elliott Whitehouse scores the goal as League Two Lincoln upset Shrewsbury to win the Checkatrade Trophy final at Wembley. M40 Warwickshire northbound severe accident, at M42 J3A affecting J16 for A3400. M40 Warwickshire - Queuing traffic on M40 northbound at M42 J3a, because of an accident earlier on. All lanes have been re-opened. Congestion to J16, A3400 (Henley In Arden). It might be one of Wembley's smaller crowds, but there's certainly no shortage of noise. Shrewsbury's 12,000 following from Shropshire might be more than doubled in size by the 26,000 army of Lincolnshire fans. But they have certainly made themselves known. And the Shrewsbury team have responded well since the break - and Imps boss Danny Cowley has just had to give it a bit of the old double windmill on the touchline to get his side's supporters roaring raucously again. M42 Warwickshire southbound severe disruption, between J3A for M40 and J3 for A435 Portway affecting J5 for A41. M42 Warwickshire - One lane closed and slow traffic on M42 southbound between J3a M40 and J3, A435 (Portway), because of a vehicle fire. Congestion to J5, A41 (Solihull). M6 Staffordshire - One lane closed and slow traffic on M6 northbound between J15, A500 (Stoke-On-Trent) and J16, A500 (Crewe), because of a lorry having a tyre changed. A45 West Midlands eastbound severe accident, between A46 and A423 Oxford Road. A45 West Midlands - A45 London Road in Coventry Airport closed and queuing traffic eastbound between Tollbar Island and the A423 Oxford Road junction, because of an accident involving two vehicles. M42 West Midlands northbound severe accident, at J4 for A34 affecting J3A for M40. M42 West Midlands - One lane closed and very slow traffic on M42 northbound at J4, A34 (Shirley), because of an accident. Congestion to J3a M40. 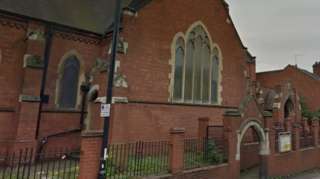 The victim is critically ill after the attack in the early hours of Sunday. M42 Worcestershire - M42 lane closed on exit slip road southbound at J1, A38 (Bromsgrove). Traffic is coping well. 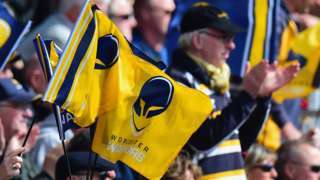 Premiership club Worcester Warriors report a pre-tax loss of £8.1m for the 2016-17 season. And it's Coventry's Emily Kay who gets the bronze! She just pips Scotland's Katie Archibald into the final medal position, Archibald finishes fourth. M42 West Midlands southbound severe disruption, at J4 for A34 affecting J5 for A41. M42 West Midlands - Slow traffic on M42 southbound at J4, A34 (Shirley), because of earlier debris. All lanes have been re-opened. Congestion to J5, A41 (Solihull). 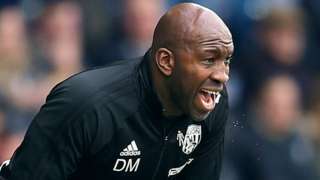 West Brom caretaker manager Darren Moore praises the "first class" response of his players as they end their eight-game losing streak by drawing with Swansea. 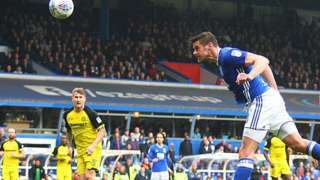 Birmingham City level late on through Lukas Jutkiewicz to keep relegation rivals Burton Albion bottom of the table. Crawley come from behind to beat Port Vale and record their first victory in two months.